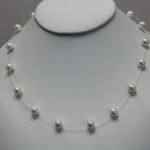 Round 7.5 – 8.5mm cultured freshwater pearl necklace. 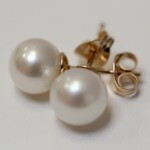 This is a wardrobe staple, very popular for all occasions and all age groups. An excellent gift because it goes with everything from jeans to a suit to an evening dress. 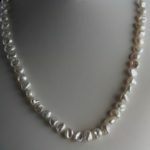 Handstrung and fully knotted to a standard 18” length and with a choice of either a sparkling silver magnetic clasp or a polished silver-gilt magnetic clasp. 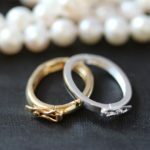 Please talk to us about different lengths or clasps. 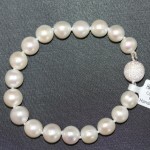 Pearl necklace often described as a wardrobe essential, which makes it a beautiful gift. 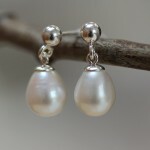 Often chosen as a 18th or 21st birthday gift to mark the ‘coming out’ of a young girl, or purchased as a wardrobe essential and a Pearl Anniversary gift because it simply goes with everything and is perfect for any occasion. 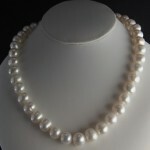 You can never be too over-dressed or under-dressed with this pearl necklace around your neck. 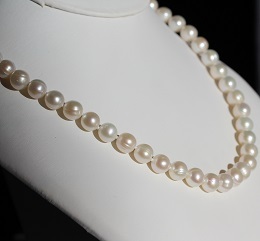 We make this cultured freshwater pearl necklace using lovely round 7.5 – 8.5mm pearls, which we string by hand onto fine, strong silk thread. 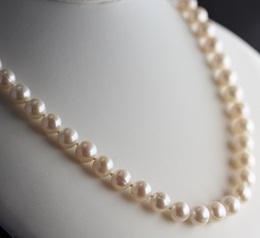 We then fully knot the pearls by hand to ensure even spacing, giving your pearl necklace that elusive ‘quality’ look and feel. 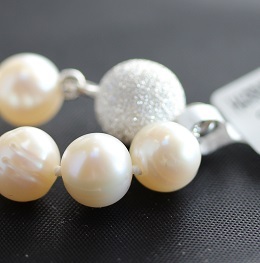 This is a wardrobe staple, very popular for all occasions and all age groups. An excellent gift because it goes with everything from jeans to a suit to an evening dress.